What is one of your favorite things to have in the morning for breakfast? I have a huge weakness for muffins! Not just any muffins though they need to gooey, fruity and full of fiber for me to be able to love them in the morning. 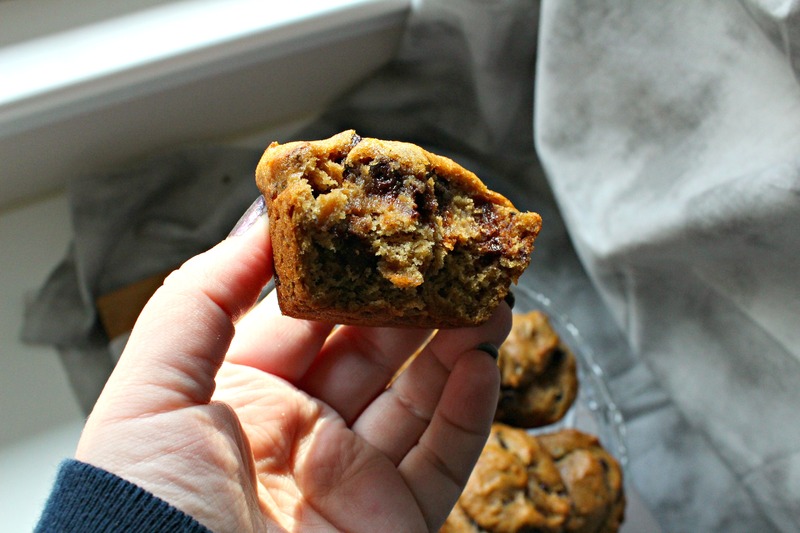 So these banana chocolate chip Muffins are seriously off the hook when it comes to breakfast muffins! 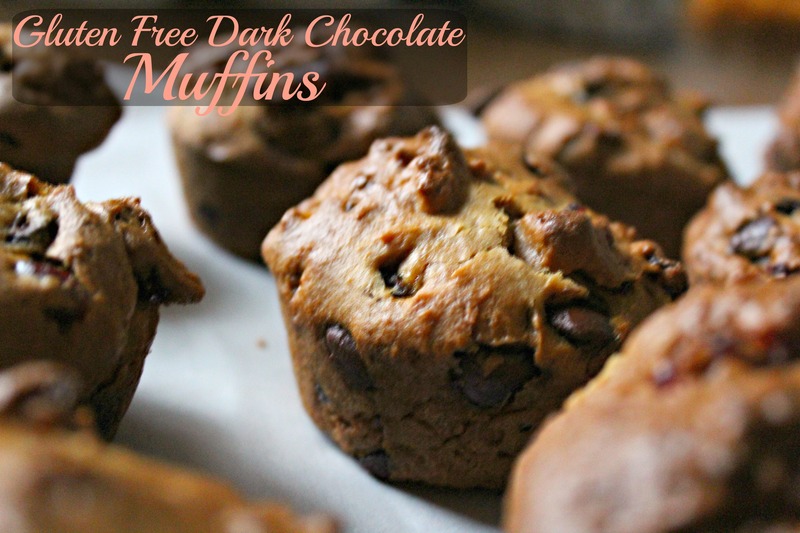 I am always looking for amazing muffins to have around the house because lets face it they are delicious! Especially when they are filling and full of chocolate. Seriously, 2 of my favorite things!! Besides that those I love having muffins around simply because they can serve a double purpose. They aren’t just amazing for breakfast but they can easily be pair with some ice cream or warmed for that perfect dessert after dinner when you don’t want something too heavy yet filling! 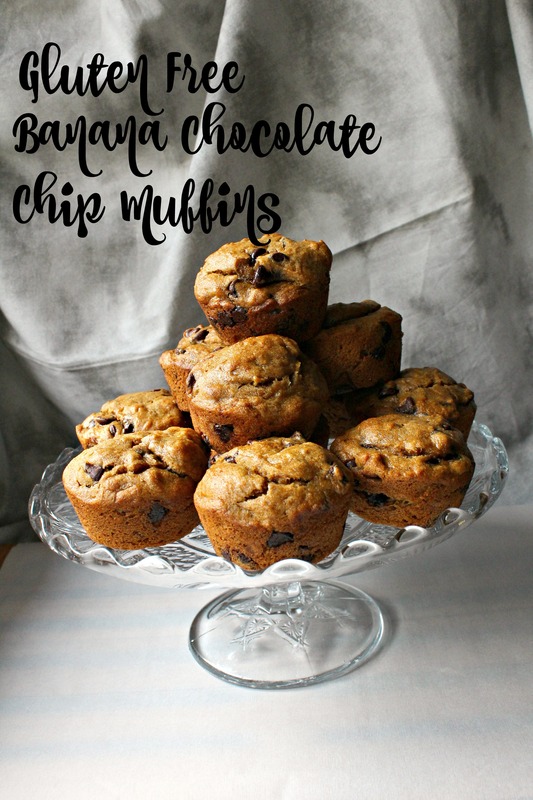 This banana chocolate chip muffins recipe is always on standby for when I need something to have. They are super quick to make and totally amazing to share if you can. It is a huge staple in my house because everyone loves them and they are easy to grab and go too. Check out how easy the recipe is! Mix together brown rice flour, tapioca starch, xanthan gum, baking soda and salt together and silft once (for a bouncy muffin). Set aside. Mix together your coconut oil, sugar and egg into the bottom of a stand mixer or large mixing bowl. Mash up your bananas and add them in to the wet mix. Add in vanilla and then mix until combined. Slowly add in your dry mix until it is mixed well. Add in your chocolate chips . Pour batter equally into a 12 well muffin tin sprayed with nonstick spray (or use cupcake liners for easy clean up). Comes out to about 3/4 full in the muffin wells. Bake for about 16-18 minutes until the muffins are bouncy. Then take out of the oven ad cool for 5 minutes in the muffin. Take out and finish cooling on cooling rack. Serve warm whenever you want to dive in! 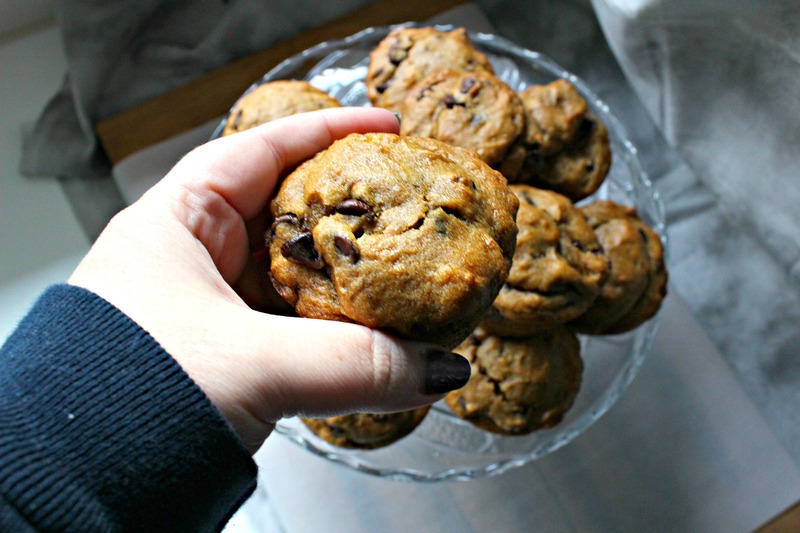 These amazing banana chocolate chip muffins are not only gluten free, but they are absolutely awesome! I love taking one or two to work with me (usually they get eaten up pretty quick) and share them too. Mostly anyways. I love sharing my food but sometimes it is just too good to. Sorry I was MIA last week as I was taking a week to myself to spend with family and friends! It was a relaxing week and we did extremely well at the store, which always makes for a great holiday when you have worked really hard!